Are you ready for a shopping spree? Check out Shopping Frenzy Slot at Wicked Jackpots! It is brought to you by Section 8, consisting of 5 reels and 20 paylines. Meet elegantly dressed ladies who are ready to walk in the shopping mall to make the most of the sales. Join them and spend a wonderful time in their company! On the reels, you can see the following symbols: Five Lovely Ladies, A - High Heels, K - Powder, Q - Glasses and J - Shopping Bag. Make the most of this slot at Wicked Jackpots using a PC, mobile or tablet. Get started on Shopping Frenzy Slot by picking your preferred bet value using the + and – buttons. Once done, click on the Spin tab to initiate the reels. Form combinations of 3 or more symbols to earn a win. Want to go faster? Use the Auto Play option to enjoy several games played in rapid succession. This feature can also be stopped anytime during your gameplay. Amount of Paylines Selection: The 20 paylines are fixed and cannot be changed. Coin Values: Bet values range from 0.20 to 500.00. 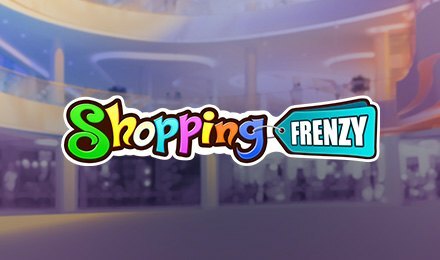 The Wild Credit Card on Shopping Frenzy Slot substitutes for any symbols, except Scatter. It does not pay any wins by itself but completes winning combinations. Watch out for the Mirrored Wild on reels 2, 3 and 4 during free spins. It reflects the symbols of the adjacent reel to the left and forms extra winning combinations of the same symbols. It also expands when it helps in generating a new line win. Both types of Wilds substitute for any symbols apart from Scatter. The Shopping Bags icon represents Scatter and helps to multiply the total bet, as well as trigger the Free Spins Feature. When 3, 4 and 5 Scatters appear anywhere on the reels, 10, 15 and 30 free spins are awarded, respectively. All the wins during the feature are tripled. However, free spins cannot be retriggered. Don’t miss Shopping Frenzy Slot at Wicked Jackpots where fantastic games are awaiting you. Best of luck!